Rhonda Broussard is the founder of St. Louis Language Immersion Schools, a charter management organization. In 2014, she traveled to and explored the education systems of Finland and New Zealand as an Eisenhower Fellow (full disclosure: I was also a 2014 Eisenhower Fellow). As I listened to her discuss her travels this past May in Philadelphia, I was struck by how relevant some of the insight she had gained in Finland were for those creating blended-learning schools that seek to personalize learning and build student agency. What follows is a brief Q&A that illustrates some of these lessons. Michael Horn: Your observations around student agency in Finland and how it stems from the great trust the Finnish society has in children are striking. Can you explain what you saw and learned? Do you have takeaways for what this means in the context of the United States? Rhonda Broussard: What amazed me most during my school visits in Finland is what I didn’t observe. 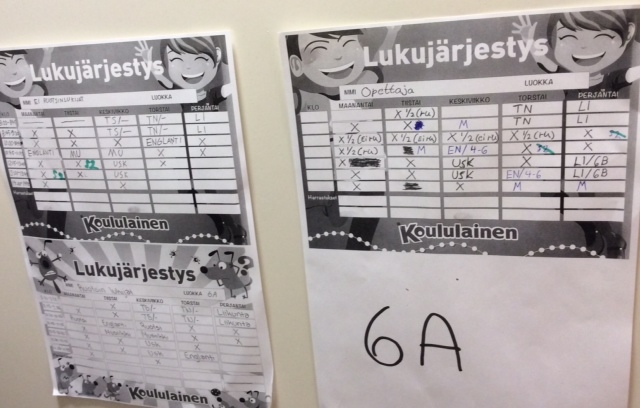 Finnish schools had no recognizable systems of “accountability” for student behaviors. Finnish schools believe that children can make purposeful decisions about where to be, what to study, how to perform. Whether via No Excuses or Positive Behavior Intervention Support, American schools don’t expect youth to be responsible for themselves or their learning. When I asked Finnish educators about student agency, they responded that the child is responsible for their learning and general safety. When prodded, educators responded that the child’s teacher might send a note home to parents, speak with the child, or consult their social welfare committee about destructive or disruptive behaviors. Despite the fact that Finland is the second country in Europe for school shootings (they have had three since 1989), none of the schools that I visited had security presence or protocols for violent crises. Horn: The level of personalization or customization in Finnish schools is much more extensive than I realized. Even siblings in the same school might attend school for radically different hours. Can you give some examples of what you saw? How does the system work, and how are families able to handle the different starting and ending times? Horn: The agency and ownership doesn’t just extend to students it seems. Do teachers have similar expectations from society and for themselves? How does this manifest itself in the way that teachers improve their craft? Broussard: In Finnish Lessons, Pasi Sahlberg explains that, “Teachers at all levels of schooling expect that they are given the full range of professional autonomy to practice what they have been educated to do: to plan, teach, diagnose, execute, and evaluate.”Administrators know that teachers have the professional training to be successful in the classroom—all teachers have a research Masters degree before beginning their teaching career—and the professional curiosity to identify their own growth areas. Schools have no expectations of teacher mentors, instructional coaches, peer observations, or continuous improvement feedback. The Finnish education system distributes power and responsibility to create ownership and personalization at the school and classroom level. The Finnish National Board of Education defines the courses and standards, municipalities then write an aligned curriculum, and teachers write the lessons and assessments. Finnish teachers engage in similar professional work as Americans—curriculum committees, student support, school culture events, clubs—but they are organized more by teacher impetus and less by administrative edicts. Originally appeared on Forbes.com Leadership blog by Michael Horn. Previous PostDo struggling learners belong in language immersion programs?